The Narre South Cricket Club has been a staple of the local community for many years and there’s one man in particular who lives and breathes Narre South. Adrian Hopkins has been involved with the Lions for five years and despite personal pain, has found comfort within the four walls of the club. Back in February 2016, Adrian – who was coaching the under-13s team at the time – suffered a horrific accident when he slipped in the cricket nets; badly breaking his leg and as a result, was left with paralysis in that leg. Throughout a long and tough rehabilitation process, Adrian – who can no longer work – stayed involved with the club and has remained junior coordinator, among many other roles. “I’ve had some tough times with the rehab – I didn’t walk for the first year because I’ve got permanent nerve damage and it’s paralysed; that was pretty tough,” Adrian said. “All I had essentially besides my family and friends was the club. “Over the last couple of years I’ve been able to use it like a full-time job. People see I’m doing a lot, but I use this as my job and it keeps me going and gets me out of bed every day. In his role as the junior coordinator, Adrian oversees the flourishing Narre South junior programs. On top of six senior teams, the club has over 130 under-11s to under-16s, a further 60 kids registered in early-entry programs and the Lions were also the first DDCA club to have an all-girls program, which is now in its third season. 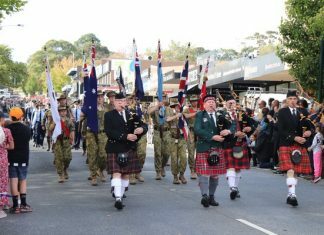 “We’re very inclusive and even when we have things like a sausage sizzle, we make sure we have halal food and kids are seeing that and asking ‘what’s halal food?’, just picking up nuances like that” Adrian said. “When there are holidays that other cultures celebrate, we make sure that they’re communicated to the teams. Despite his countless roles within the club, Adrian wants to do more. 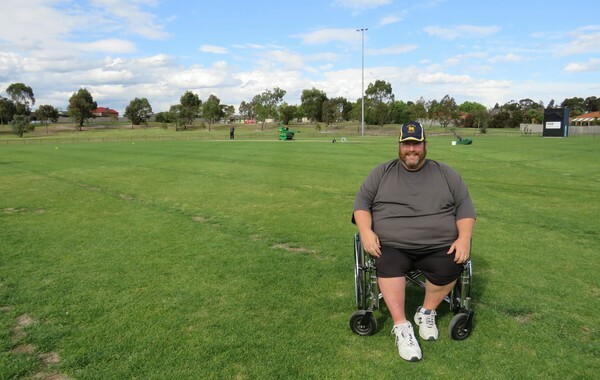 Due to his injury, he is unable to help in the preparation of the turf wicket at Strathaird Reserve. The club currently uses a walk behind roller, which isn’t suitable for Adrian as he can’t walk or stand for long periods of time or manually manoeuvre a pitch roller. To enable Adrian to roll the wickets, a ride-on pitch roller is required. “We’re volunteer-based and it’s hard with a lot of people working and many families now have both parents working full time,” Adrian said. “It would be huge for me to be able to sit on the roller and get that done during the day. It takes a minimum of three hours of work each day, most weeks it will get a roll six days a week and that’s the bare minimum, you’ve got to do the extra stuff on top of that. Despite the club’s best efforts, grants have not been forthcoming and the club is seeking community support. Fundraising and donations are most welcome and sponsorship opportunities are available. Any individuals or businesses interested in jumping on board, please email; narresouth@ddca.com.au.